Thank you for your interest in the Joe Weider Olympia associates program, which allows you to earn referral commissions by advertising Joe Weider's Olympia videotapes on your website. Our program is free to join and allows you to make money with us! It's easy to sign-up and requires no technical knowledge. 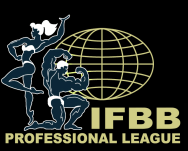 When you join the IFBB Video affiliate program, you will be supplied with a range of banners and textual links that you place within your site. They will contain your own unique linking code. When a user clicks on one of your links to IFBB Videos, their activity will be tracked by our affiliate software. If that user makes a purchase on our website, your account will be credited with a sale once the order has been shipped. . You will also be able to log-in 24hrs a day to view real-time statistics and see how your links are performing. To sign up, simply follow the "New Retailer Registration" link on this page. Once you are registered, you will receive an e-mail explaining how to place a linked banner on your site information. For more information on our affiliate program or technical support regarding your affiliate account please feel free to contact our Affiliate Team. There is no minimum payment – We pay you every two months for every sale! We cut checks on the 1st of every second month, for the previous 2 months.